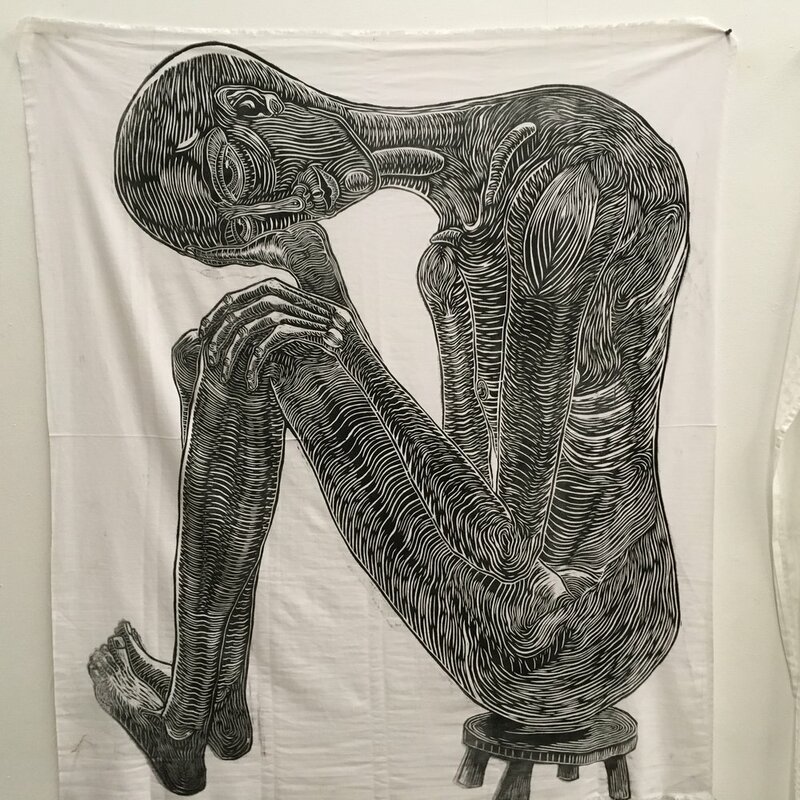 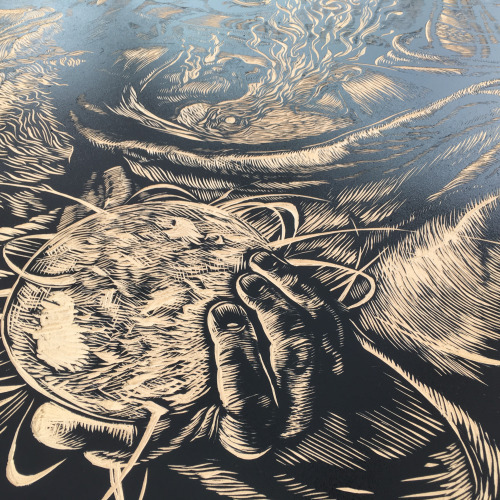 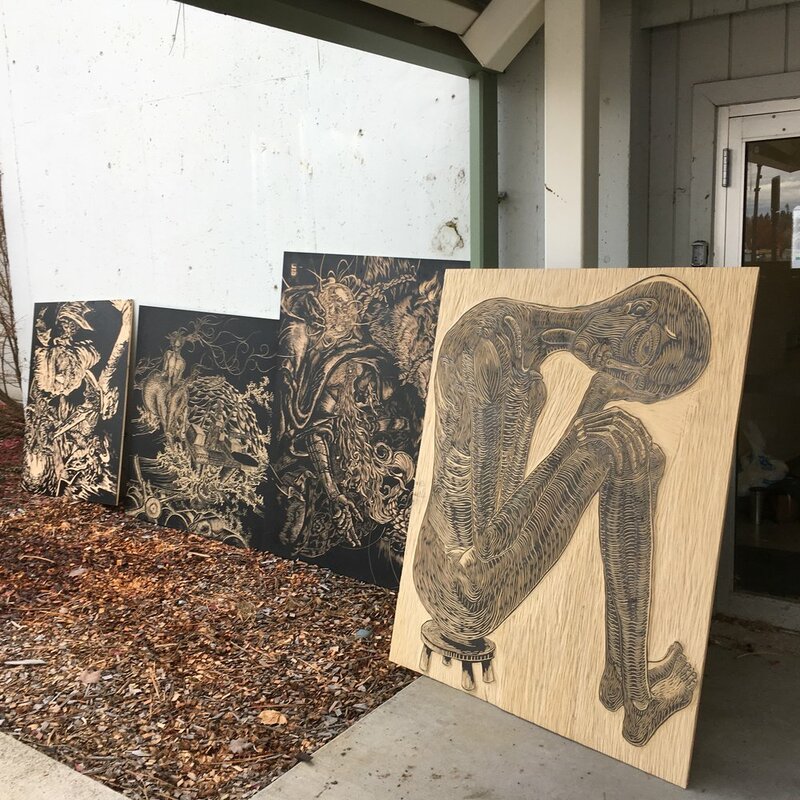 On the morning of October 29th The University of Idaho experienced a printmaking event out of proportions. 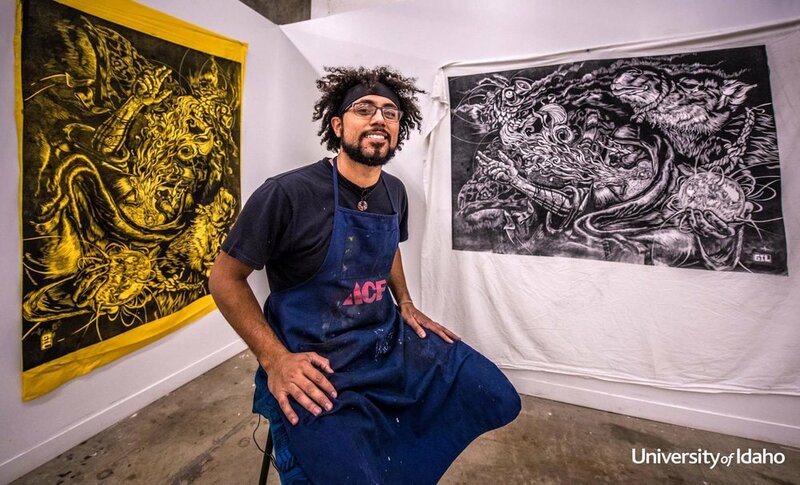 Reinaldo Gil Zambrano, president of the Vandal Printmaking Guild & Print Club organized the 1st Vandal SteamRoller Project. 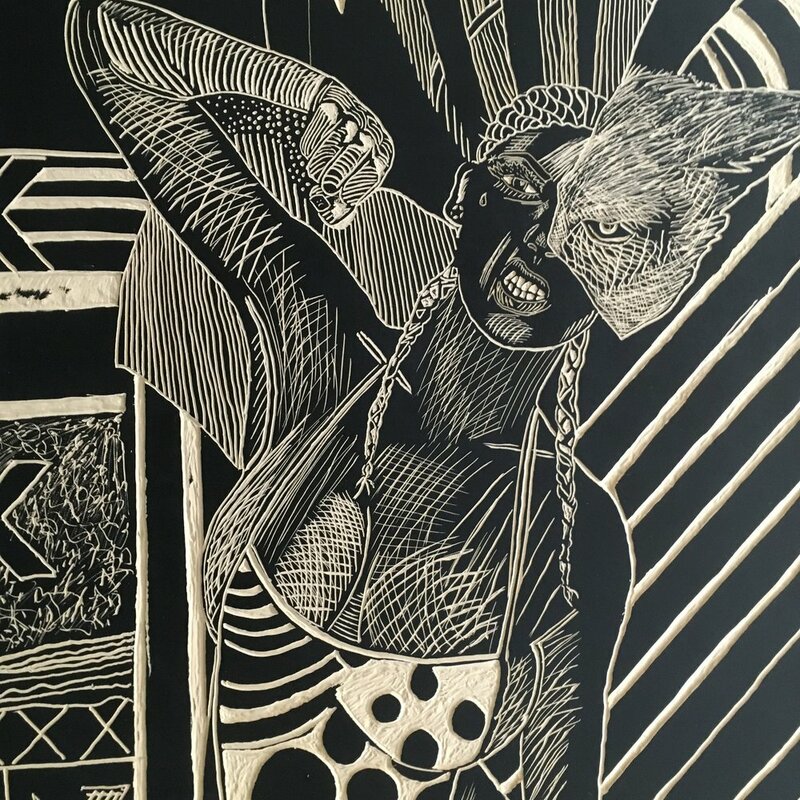 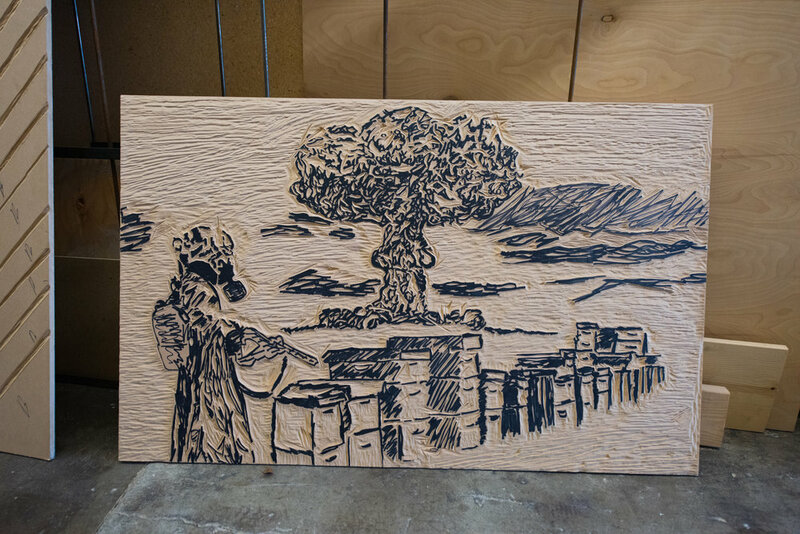 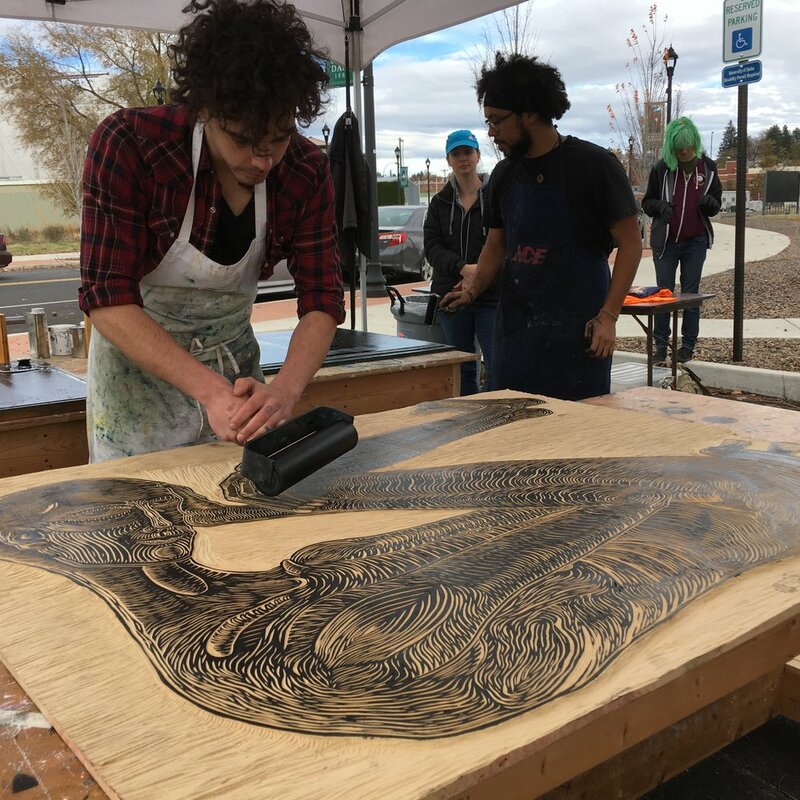 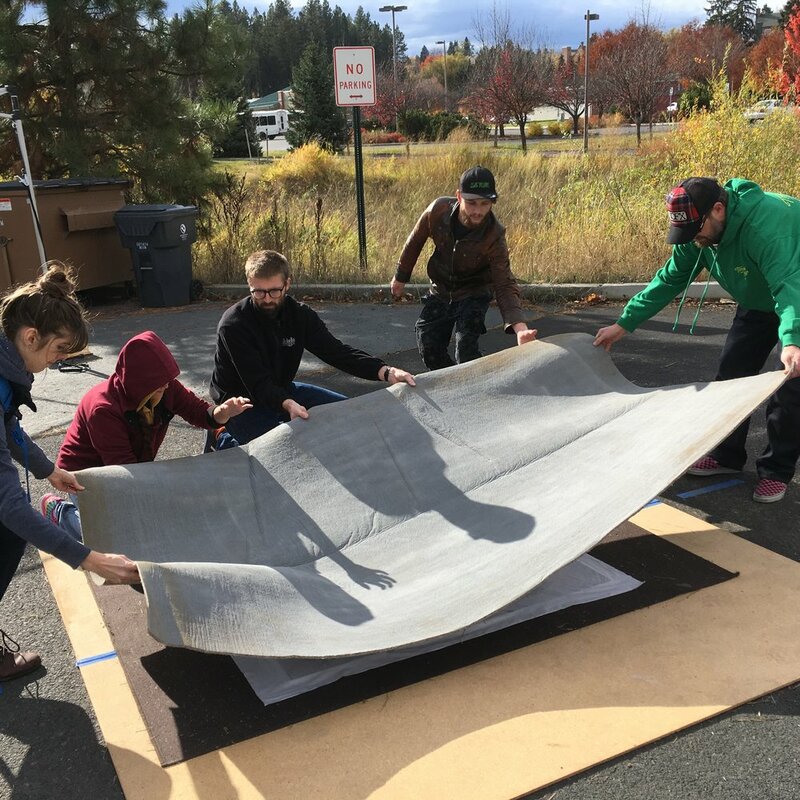 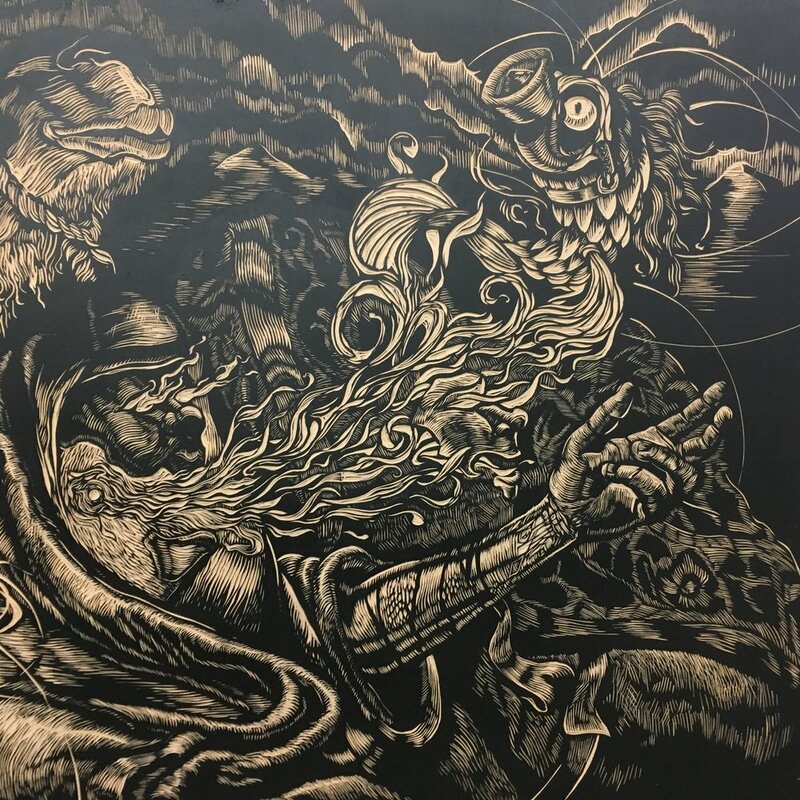 For the event, students and faculty from University of Idaho and Washington State University got together to print large previously carved pieces of MDF at the Art & Architecture East parking lot. 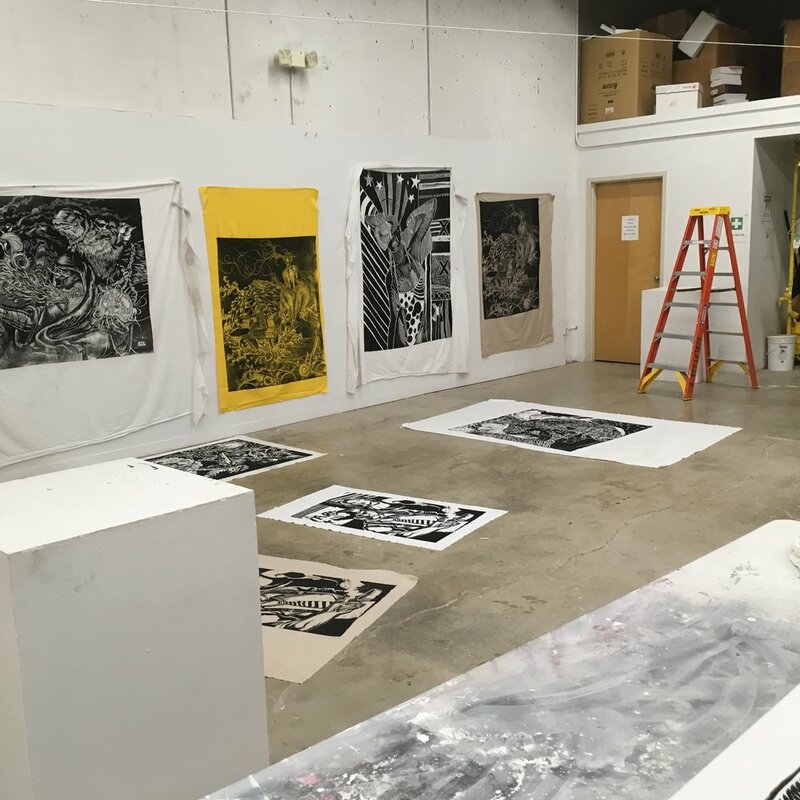 Using a SteamRoller driven by UofI president Chuck Staben and professor Mike Sonnichssen, the inked pieces were transferred to white and colored bedsheets. 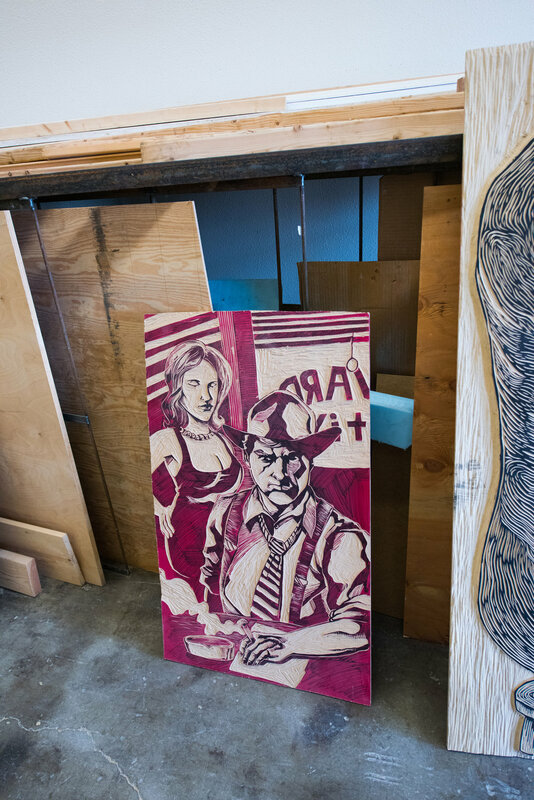 The event also counted with the presence of printmaking professor Kevin Haas from WSU. 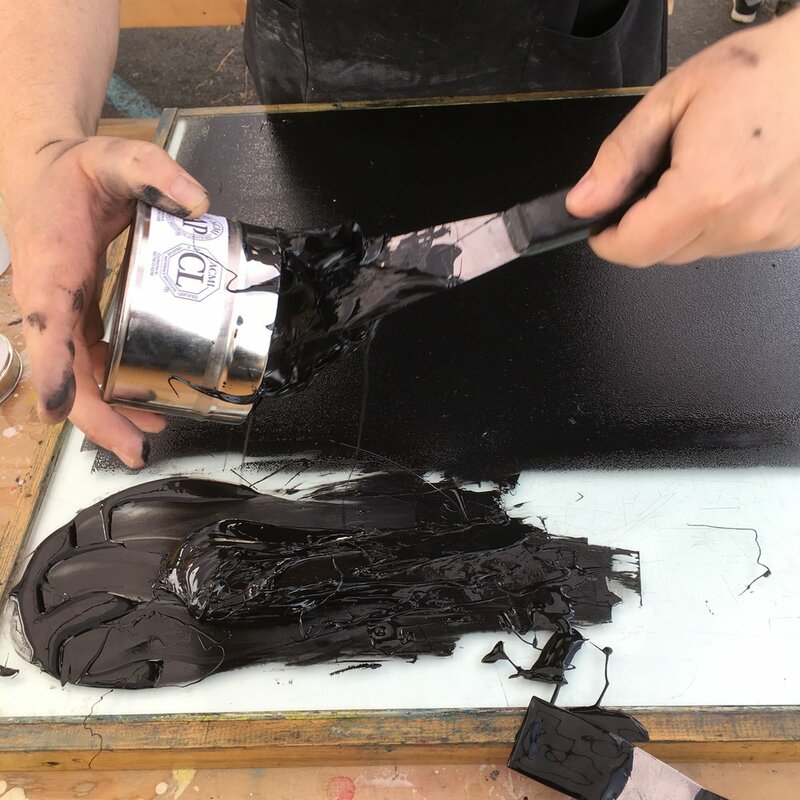 More than 10 pieces were printed during the event that went from 10am to 2pm, time when the rain forced us to stop.